Mexico’s determination to make the most out of Industry 4.0 shows in its imports of industrial robots, which as of 2017 make that country the fourth largest importer of robots in the world, behind China, Germany and the U.S. In 2016, Mexico imported $158 million of industrial robots, while China imported $878 million, Germany imported $346 million and the U.S. imported $291 million, according to World Trade Organization figures. Mexico’s main supplier of industrial robots is the U.S. with 24 percent of the Mexico market, Japan follows with 20 percent, Germany with 18 percent, South Korea with 10 percent, and Italy with 5 percent. Mexico’s main supplier of industrial robots is the U.S. The WTO predicts Mexico’s move toward automation and digitization will continue growing in coming years driven mostly by the automotive sector, which introduced industrial robots in Mexico decades ago and which uses about half of the robots the country imports. Today, robots can be found there in various sectors including plastics, electronics, food and beverage, and aerospace. Demand for robotic technology in Mexico is expected to increase along with the country’s growing automobile production capacity. According to industry experts, by 2019 Mexico will manufacture one out of every eight new light vehicles sold in the U.S. Right now, Mexico is the world’s fourth largest exporter of autos. Almost all major automakers from the U.S., Europe and Asia have presence in Mexico, and they are spending billions of dollars importing the machine tools needed to expand and upgrade their manufacturing operations. Globally, the growing need for efficiency and quality in the manufacturing process continues to drive demand for industrial robots. Companies are using robots to improve quality, reduce costs, increase worker safety, decrease cycle time, reduce waste and boost competitiveness. Industrial robots significantly improve the manufacturing process by enhancing efficiency, precision, productivity, quality and predictive management. 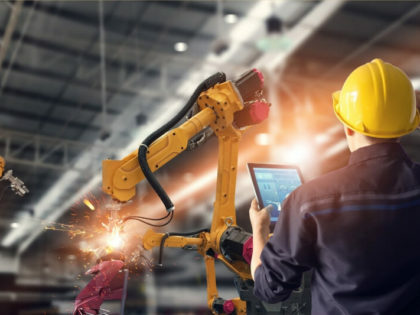 According to Manufactura.mx, robots can reduce repair times by 12 percent, lower maintenance costs by 30 percent, and reduce failures by 70 percent. 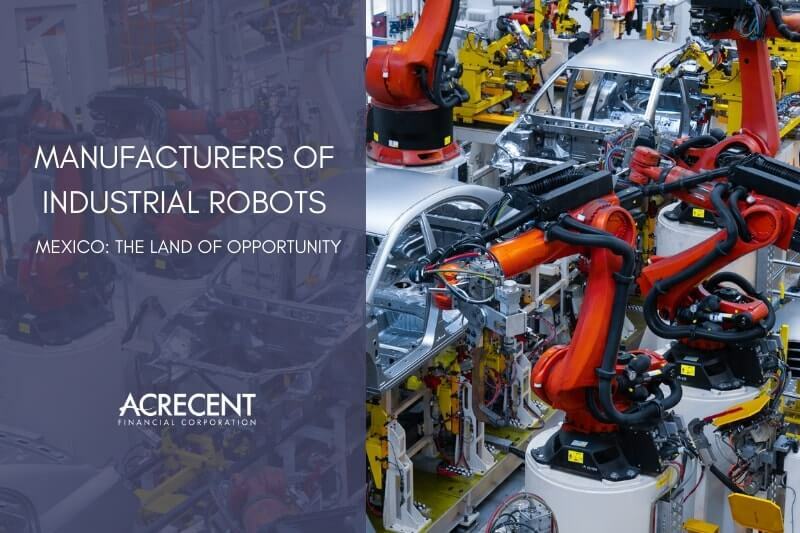 As automotive, electronics, appliances, aerospace and plastics production continues to grow in Mexico, so do the opportunities for U.S. manufacturers of industrial robots and machinery. Embracing robots calls for skilled workers to design, install, run, maintain and repair them. A widening skills gap threatens to slow down growth in the industry. A3, manufacturers and local tech colleges and universities are racing to narrow that skills gap. According to International Monetary Fund figures, Mexico is the 15th largest economy in the world with a nominal gross domestic product of nearly $1.2 trillion. In terms of purchasing power, it is the 11th largest with a purchase power parity GDP of $2.5 trillion. The country is the 7th largest maker of motor vehicles in the world with more than 4.1 million units produced in 2017 or about 4.2 percent of the global production of 95.3 million units. China tops the list with 29 million vehicles, followed by the U.S. with 11.1 million. With numerous trade agreements with over 40 countries, Mexico is known for liberal trade policies such as tax-free exports. In its 2018 World Robotics Report, the International Federation of Robotics (IFR) showed a new record high of 381,000 units shipped globally in 2017, up 30 percent from the previous year. The annual sales volume of industrial robots climbed 114 percent over the last five years (2013-2017), and the sales value increased by 21 percent to a new peak of $16.2 billion in 2017. By 2019 more than 1.4 million new industrial robots will be installed in factories throughout the world, the IFR reported. The European Union is a frontrunner in this race: 65 percent of the countries with an above-average number of industrial robots per 10,000 employees are located in the EU. The strongest growth is expected in China, where 40 percent of the worldwide market volume of industrial robots will be sold. The number of industrial robots deployed worldwide by 2019 will increase to some 2.6 million units, about 1 million units more than in record-breaking 2015, according to the report. About 70 percent of industrial robots are employed by the automotive, electrical/electronic, and metal and machinery industry segments. In the U.S., the fourth largest market for industrial robots in the world, the number of newly installed industrial robots rose by 17 percent to a new record of about 36,000 units in 2015, while in Mexico it grew by 119 percent to 3,474 units. According to IFR projections, the industry will grow at an average 13 percent (CAGR) per year. Cobots (collaborative robots), light-weight robots, two-armed robots, modular robots, mobile solutions and integration into existing environments will trend in the near future. Mexico’s imports of industrial robots and machine tools shows its commitment to automation and digitization in the era of i4.0 and to maintaining its position as one of the most productive countries in the world and an attractive destination for exporters and foreign investors. Sources: World Trade Organization, International Federation of Robotics, International Monetary Fund, Robotic Industries Association, Mexico News Network, Manufactura.mx, Vanguardia Industrial, GoBizNext, Robotics Business Review, Technology Review, Machine Design, Export.gov, European Engineering Industries Association.